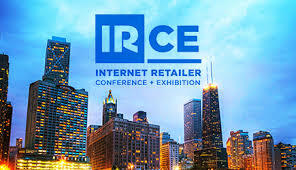 Next week, IRCE expects 10,000 professionals in Chicago for its annual conference. (We'll be at Booth 119!) If you are one of the brands, retailers, and technology vendors going to the show, we've got a list of some of the top sessions you should attend. Based on the success of last year's IRCE show, we know the conference can be an excellent opportunity to get the practical answers and insights into the solutions you need to succeed in selling online. Chris Perry of WellPet and Melissa Burdick of The Mars Agency will share tips on the Amazon programs that may have the most return for your brand. Get a sneak peek of Melissa's Amazon advice here. Or mark your calendar to attend the Marketing on Amazon for Brands and Retailers session. Speakers from Salsify customer Bosch Power Tools, partner Google Manufacturer Center and our very own co-founder Rob Gonzalez of Salsify will explain how to get the most SEO value from your product content. Attend the Getting the Right Content to Where Consumers Are session. Brian Thompson at Winston Brands and Marta Dalton from Salsify customer Coca-Cola share how to build a winning business case to get funding and internal buy-in for the technology innovation that can improve your process. Join them for Get What You Need: How to Build a Winning Business Case and Budget for Technology and Innovation. Salsify customer Jaime Dooley, Head of Ecommerce at Dorel Juvenile is going to share his proprietary matrix that will help you determine how to go to market on Amazon. Don't miss Selling on Amazon as a Third Party or First Party - or Both? if this is a question for your organization. Walmart Labs innovator Imran Ansani will share some of the secrets behind how Walmart developed their augmented reality program. Learn how this new tech could change the face of online shopping at The Next Dimension: How Augmented Reality Could Reshape E-Retail. We will have product page performance experts live at the Salsify Booth 119 to walk you through your top Amazon product pages and get a report on a few things you can do fast to improve conversion.